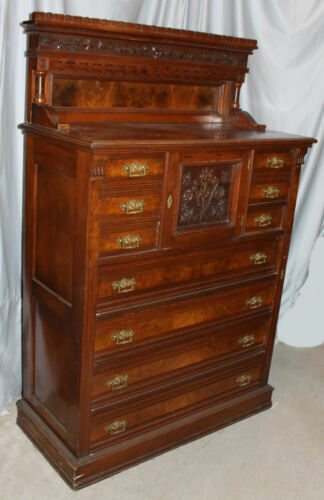 $400.0 Antique Victorian Oak Bonnet Tall Chest With Beveled Mirror. $1950.0 Art Deco Waterfall Corner DANISH High-boy dresser, 6-Drawer, BEAUTIFUL! 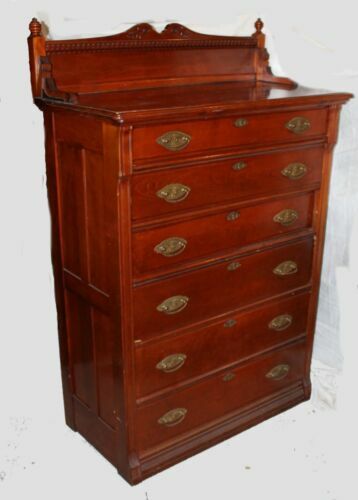 $1075.0 58513 Antique Solid Mahogany Van Sciver High Chest and Dresser w/mirror NO BED! 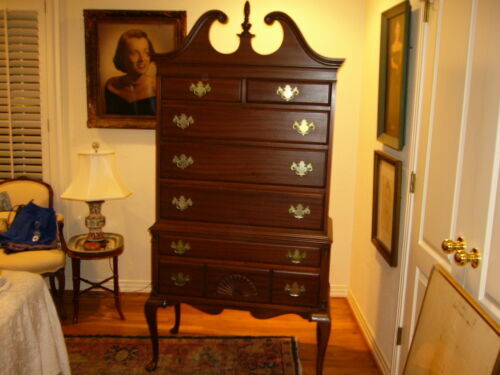 $1500.0 Kindel Chateau dresser & highboy from B Altman - 1950's ?